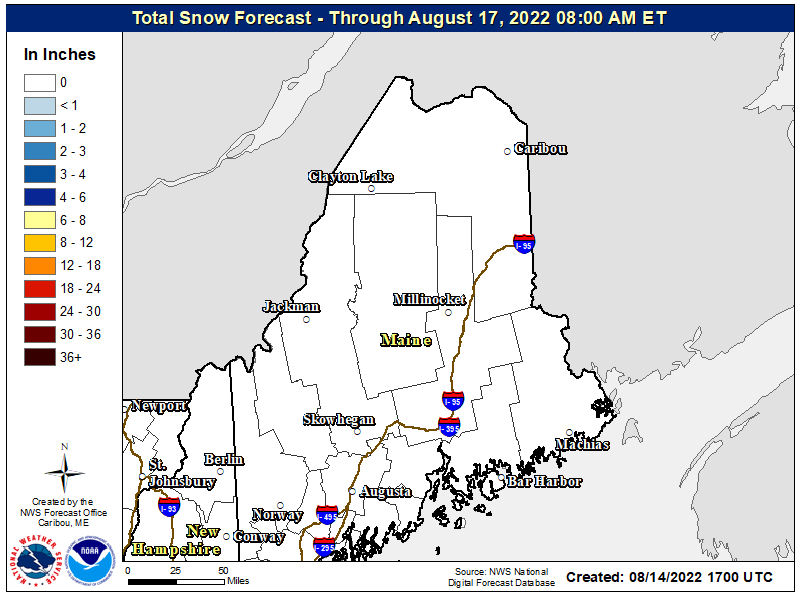 accumulations of up to two inches possible. Orange, Dutchess and Putnam Counties. * WHEN…From midnight tonight to 6 AM EST Monday. 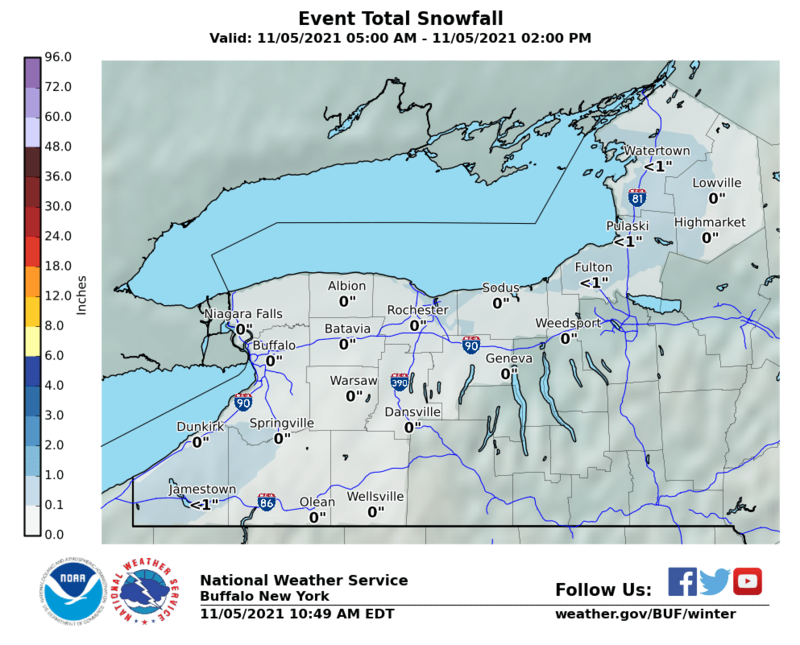 It is no surprise that Winter Weather Advisories are posted for the counties listed above as well as the rest of Northern Pennsylvania, much of Upstate New York & Northwest Connecticut. 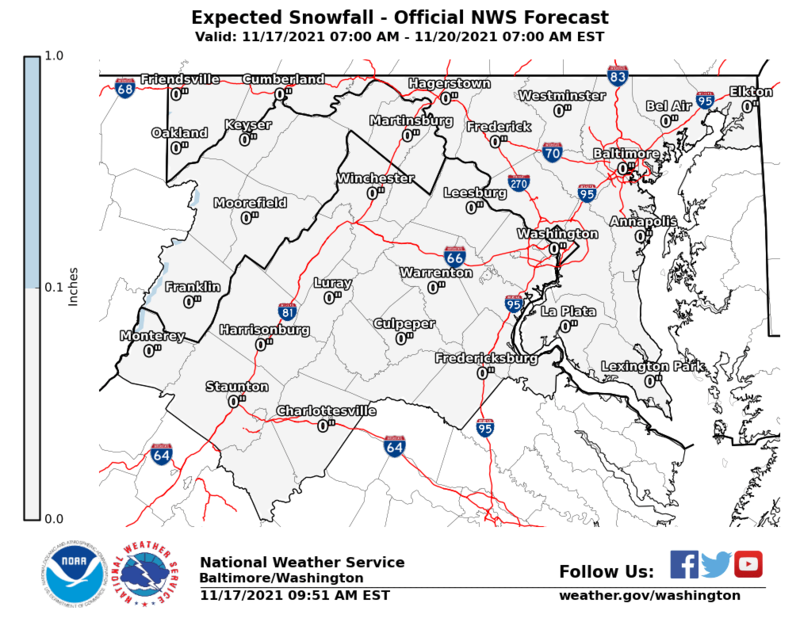 We are forecasting wintry precipitation to begin before daybreak as freezing rain and sleet. 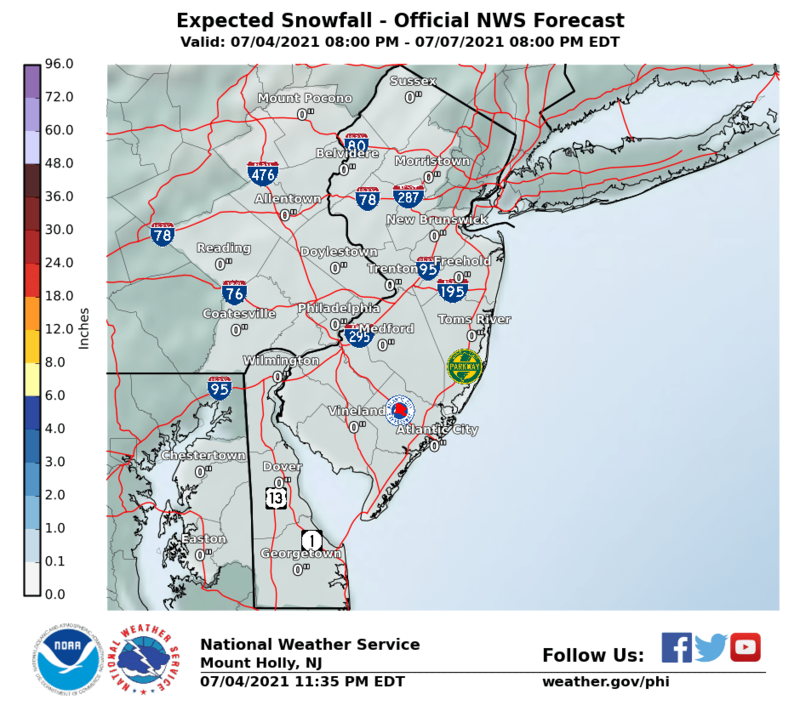 Some wet snow will gradually mix in and in some places we will see a change to wet snow. 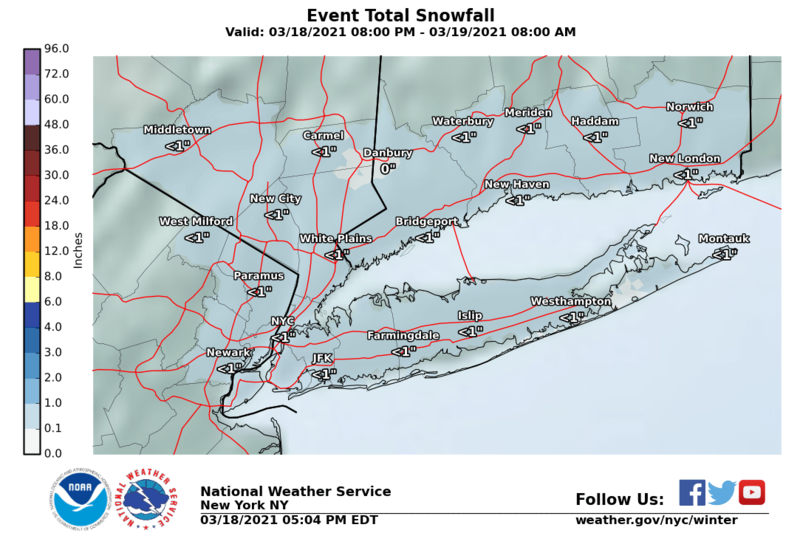 Elevation will be driving accumulation amounts. 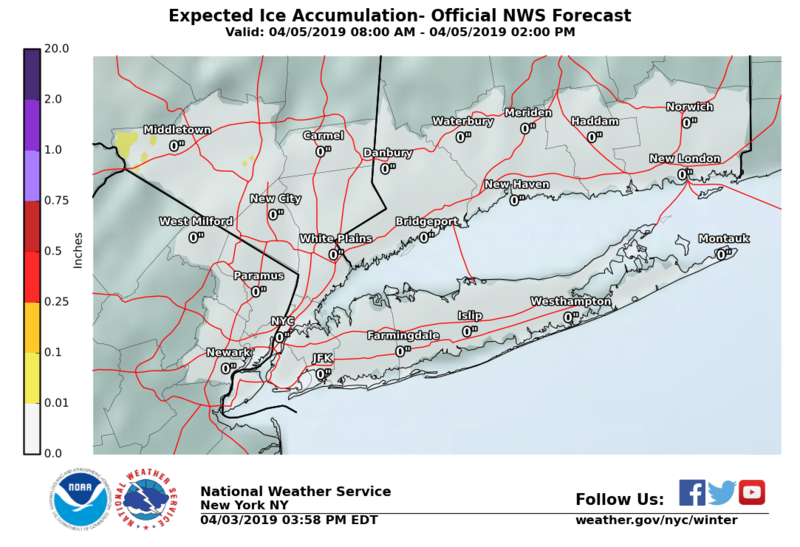 It is possible that the bordering counties to the south in Northern New Jersey down to NYC & Western Long Island as well as the Lower Hudson Valley & Connecticut south of Route 84 could see some sleet or wet snow mixing in at some point later on Sunday. 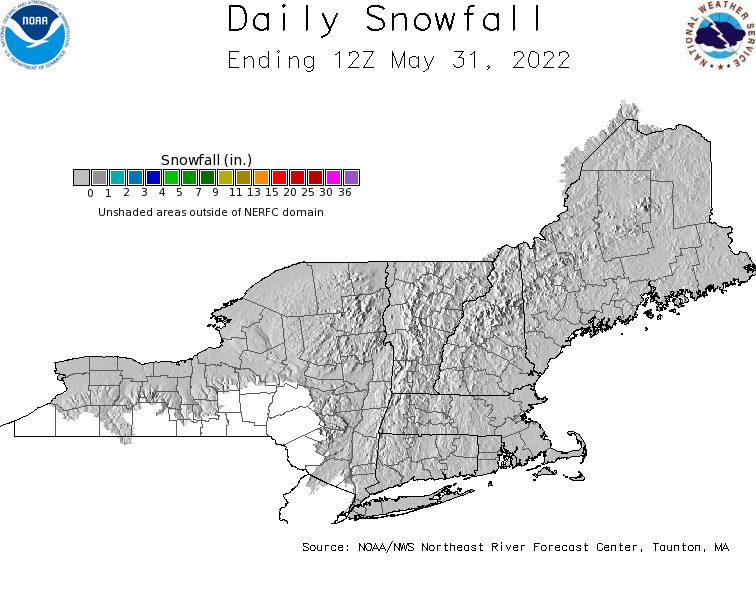 The map above was my forecast that I issued earlier today. I’m making no changes to it at this time. 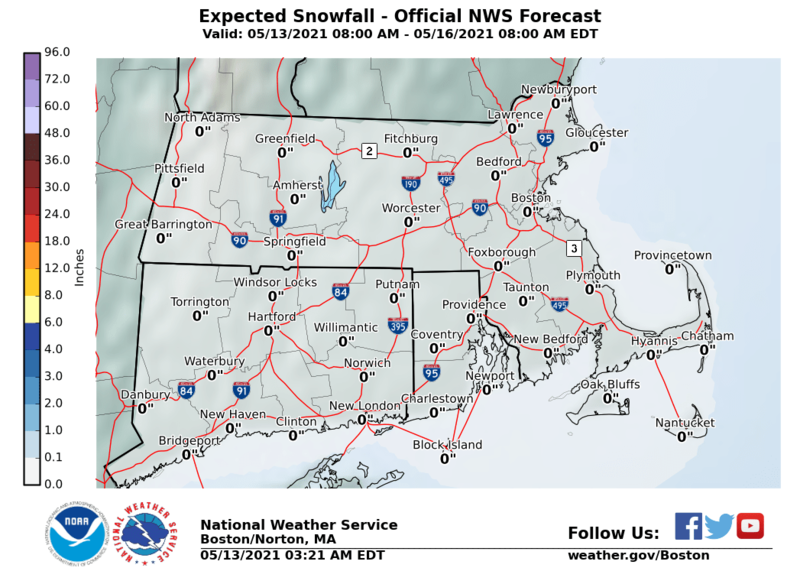 The National Weather Service snow and ice forecasts are shown below. They are somewhat different in some places but that’s what makes a forecast. I decided to go a little higher to the north and west where elevation dominates the geography. 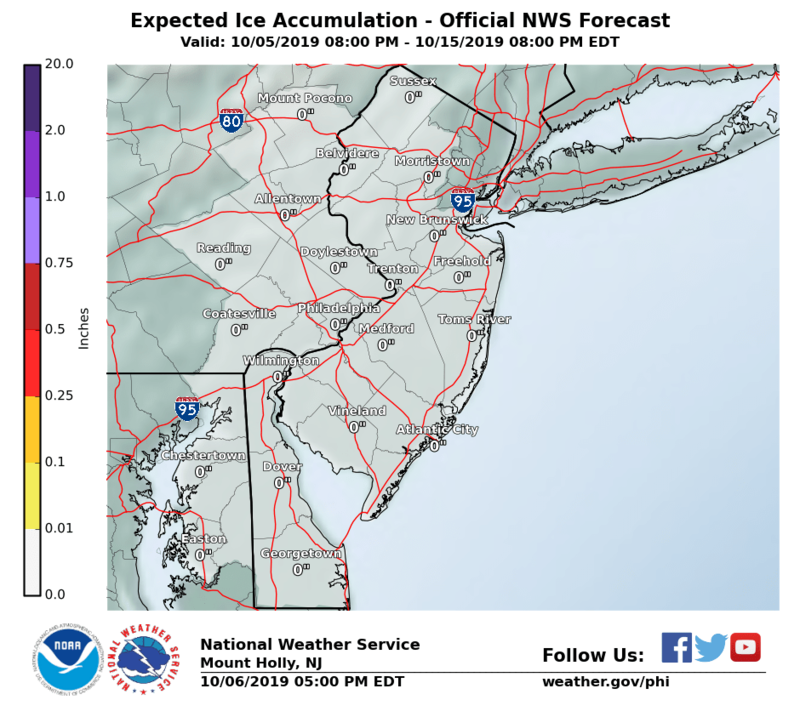 Nothing much happens tonight with rain developing but expect a change to sleet and freezing rain in the advisory area to occur between 4 and 7am. 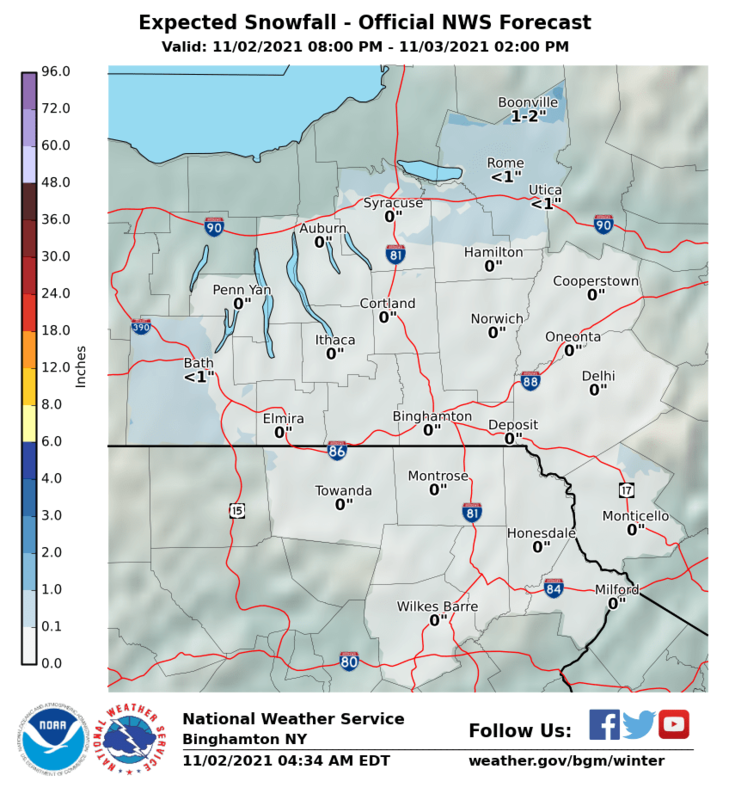 Precipitation lasts through the day and into tomorrow night with a change to wet snow and sleet. Along the coast it will be a cold raw rainy day with temperatures just in the 30s. Inland temperatures will be close to or slightly below freezing for much of the day so slick and icy spots will develop. It all comes to and end late Sunday night with windy and cold conditions on Monday but with some developing sunshine.